Sahal bin Sa'd RA narrates that during the Battle of Khaybar, Rasulullah SAW announced, "Tomorrow I shall give the flag to the person on whose hands Allah SWT shall grant victory. He is a person who has love for Allah and His Rasul SAW and whom Allah and His Rasul also lave." Sahal RA mentioned that the entire night, the Sahabah RA, kept thinking which of them would receive the flag (to lead the army into battle). The following morning, all the Sahabah RA came to Rasulullah SAW, each one hoping that he would be the one to receive the flag. Rasulullah SAW announced, "Where is Ali bin Abi Talib?" The Sahabah RA replied, "O!! Rasulullah SAW !! He is suffering from pain in his eyes." Rasulullah SAW sent someone to call him. When he arrived, Rasulullah SAW applied some of his blessed saliva onto Saidina Ali RA eyes and prayed for him. His eyed were immediately cured and it appeared as if he had never suffered any pain at all. Rasulullah SAW then handed the flag over to him. About a hundred miles from Madinah on the route to Syria was an important settlement of the Jews called the Khyber. Literally "Khyber" means a fort, and the place was so named because it consisted of a series of forts. There were six or seven forts, and each was occupied by a different section of the Jews. 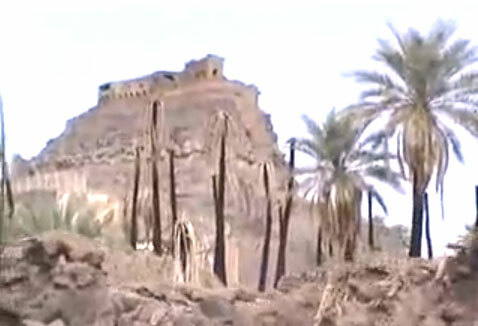 It was an oasis in the desert, and was famous for its fields and groves of date palms. It was an important market as well. After their expulsion from Madinah, most of the Jews of Banu Qainuqah and Banu Nadhir took refuge in Khyber. 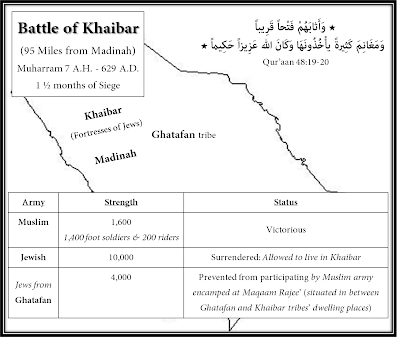 In the Battle of the Ditch (Ghazwa-e-Khandaq), the Jews of Khyber had helped the Quraysh. 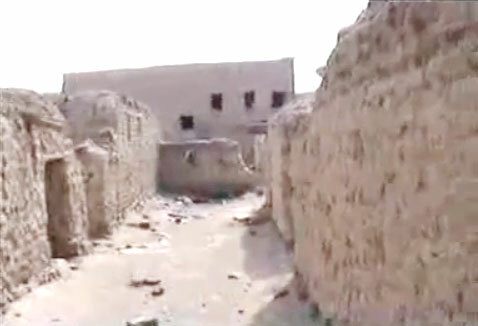 When after the Battle of the Ditch, the Jews of Banu Quraizah were executed, the Jews of Khyber promised revenge, and they planned an invasion of Madinah on a large scale. They were seeking an alliance with the Quraish. In the meantime by the treaty of Hudaibiyah, the Quraysh had made a truce with the Muslims and were no longer free to join the Jews in an attack on Madinah. That was the first advantage that accrued to the Muslims as a result of the treaty of Hudaibiyah. Taking full advantage of this favorable situation, immediately on return from Makkah after signing the Hudaibiyah pact, the Holy Prophet sallallahu 'alaihi wasallam led a Muslim force to Khyber. The Jews were caught in surprise at the appearance of the Muslim force. The Prophet Sallallahu 'Alaihi Wasallam asked them to submit. They made fun of the offer and said that their forts were unconquerable, and that they would teach the Muslims bitter lesson. They shut themselves in their forts and the Muslims besieged them. 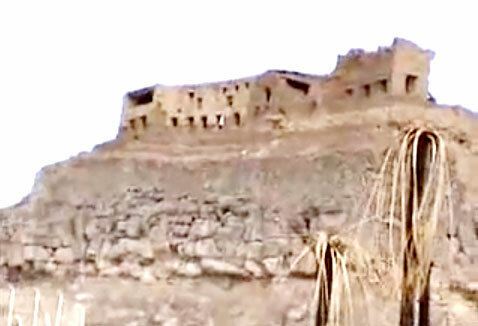 The first battle took place on the fort called Naim. The Muslim force was commanded by Muhammad bin Muslimah. The battle was fierce. The Muslim Commander was martyred, but the fort was captured. In the following days they captured other small fortresses. The main fort of the Jews was Qamus, and it was regarded as invincible. The siege dragged on for twenty-one days, but the Jews held out. The Holy Prophet Sallallahu 'Alaihi Wasallam sent a force under the command of Saidina Abu Bakr RA to overpower the Jews, but the mission did not succeed. The Holy Prophet SAW changed the Commander every day, but the fort proved to be a hard nut to crack. With the failure of successive missions, the Holy Prophet SAW said that the following day he would entrust the command to a person who was the beloved of Allah SWT as well as His Prophet SAW, and who would conquer the fort. The following day when the Muslim forces assembled to lead the attack, all were anxious to know as to who was to have the honor of commanding the Muslim forces, and winning the victory that day. The honor fell to Saidina Ali Radhiyallahu ta'ala ‘anh. The Holy Prophet SAW put the armor on Ali with his own hands. He handed him the standard, and after praying for the victory of the Muslims, the Holy Prophet SAW commanded the Muslims forces to attack the fort in the name of God. As the Muslim forces came close to the fort, the Jew warrior Marhab emerged out of the fort, and challenged Saidina Ali to a duel. Marhab enjoyed reputation as a great warrior equivalent to a thousand men. Marhab sang the battle song: "I am Abu Ablit; My name is Antar. I am armed to the teeth. My home is Khyber. I am a lion whom none can face. " Saidina Ali Radhiyallahu ta'ala 'anh accepted the challenge with the battle song: "I am Ali, the lion of God. I fight in the name of God. Be prepared for your doom. It awaits you." That day, Saidina Ali RA appeared to have extraordinary power. He killed Marhab in no time. Thereafter another Jewish warrior Rabih bin Abu Aqiq stepped forward to challenge Saidina Ali. Rabih charged at Saidina Ali, but he missed the mark. Thereafter Ali charged at his adversary with the speed of lightning and killed him with the stroke of his sword. Thereafter another Jew warrior stepped forward. He sang as he rushed at Saidina Ali: "I am Yasir I am a ferocious lion. None can escape my claws. In reply, Saidina Ali Radhiyallahu ta'ala 'anh said: "O Infidel, your death calls you. I invoke the aid of Allah SWT and strike the heads of those who come to oppose me " Yasir aimed a blow at Saidina Ali, but Saidina Ali RA warded off the blow with great skill. Then Saidina Ali RA attacked and Yasir fell dead. Another view of the inner side of the Fortress. The death of three successive Jew warriors unnerved the Jews and they ran back to shut themselves in the fort. Before the Jews could shut the gate of the fort, Saidina Ali RA struck at the gate and uprooted it. 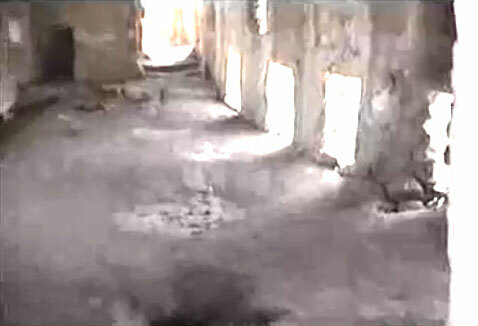 Thereafter the Muslim force rushed inside the fort and massacred the Jews who resisted them. Saidina Ali RA performed wonders of bravery and killed a large number of the Jews. The Jews could not withstand the attack of the Muslims for long. Soon their gnaresistance broke down and they laid down arms. Thus the fort which was regarded as impreble fell before the might of Saidina Ali RA. According to legend, Saidina Ali RA exhibited supernatural strength that day and was most ferocious than the fiercest of lions. Without doubt, he was the "Lion of Allah". As Saidina Ali Radhiyallahu ta'ala 'anh returned to the Muslim camp, the Holy Prophet SAW went forward to greet him, and praised him as the Victor of Khyber. There was great rejoicing in the Muslim camp at this great victory. As a result of the victory, in accordance with the Jewish law, all male Jews could be executed. The Jews pleaded for mercy and undertook to pay one half of the produce of their lands to the Muslims as annual tribute. The Holy Prophet SAW took a lenient view. He accepted the terms offered by the Jews and a treaty was made accordingly. The Jews undertook to remain faithful to the Muslims and accepted their dominance. A prominent Jew lady, Zainab held a feast in the honor of the Holy Prophet SAW and his companions. At the dinner the Holy Prophet SAW first took a morsel of meat and after chewing it threw it aside saying that the meat was poisoned. A companion Bashr Radhiyallahu ta'ala 'anh ate a good deal of meat and he died on the spot. The feast ended in confusion. Zainab was put to explanation and she admitted her guilt. She pleaded that she had poisoned the meat thinking that if Muhammad (sallallahu 'alaihi wasallam) was a false prophet, the world would get rid of him. The Battle of Khyber was another turning point in the history of Islam. It had far reaching consequences. The Muslim rule was no longer confined to Madinah and its immediate environments. It came to be extended to other parts of Arabia and the Jews who had been so hostile to the Muslims had become the subjects of the Islamic state. The Quraysh could no longer depend on the support of the Jews. If we study the events that took place one after the other we can discern the Hand of God directing the course of things in favor of the Muslims. The Hudaibiyah pact which was apparently unfavorable to the Muslims paved the way to the conquest of Khyber, and the conquest of Khyber paved the way to the conquest of Makkah. Saidina Ali RA was the Victor of Khyber. The exploits of Saidina Ali RA at Khyber have attained the dimensions of legends.